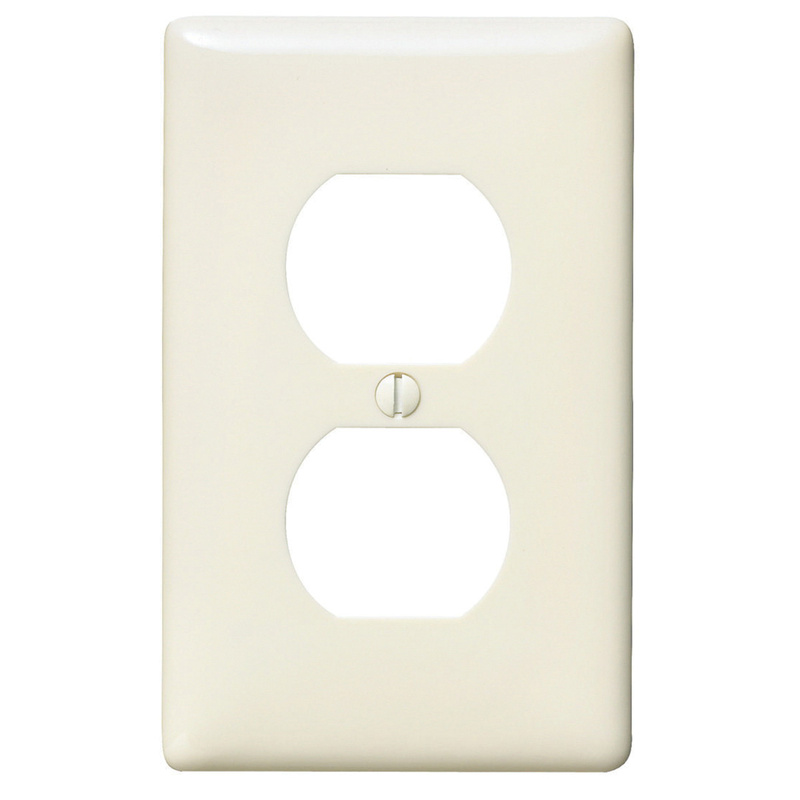 Hubbell-Wiring 1-Gang standard size wallplate in light almond color, has nylon construction for impact resistance and durability. This curved corner, duplex receptacle wallplate is suitable for providing protection against contact of live terminals and wiring to offer finished look to installation. 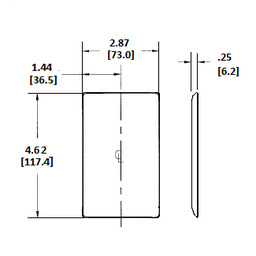 It measures 4.62-Inch x 2.87-Inch. The wallplate meets UL 514D, UL #31999, E92074 and CSA C22.2 No. 42.1 standards.